Welcome to the Platinum Pebble Boutique Inn, a rare find on Cape Cod! Book now and use promo code: BNBFinder for complimentary bottle of excellent Chilean Wine on check-in! We are an award winning inn with modern, upscale design only steps from the beautiful beaches of the Nantucket Sound. The Platinum Pebble Boutique Inn is currently rated the top Harwich Bed and Breakfast by Tripadvisor and was awarded Best of Boston 2012, Top 10 Modern Bed and Breakfasts in USA in 2014, and Best Cape Cod Boutique Inn 2015 by Yankee Magazine. It is the perfect spot from which to explore the whole of Cape Cod & The Islands from Falmouth and Martha’s Vineyard to Chatham, Nantucket and Provincetown. A tranquil and luxury hideaway, a short stroll from the local sandy beaches, and close to the Cape Cod bike path and Bell’s Neck conservation trails, this romantic Cape Cod Inn is a refreshingly contemporary boutique inn housed within an 1870’s sea captain’s house. 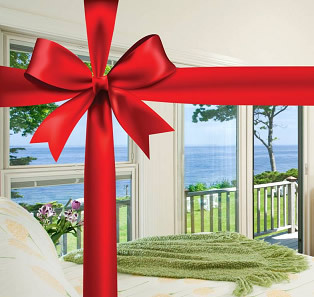 A beautiful setting for your Cape Cod vacation. Each room reservation includes: – Gourmet breakfast served in-room or poolside – Plush Monarch Robes – Luxurious Comphy linens – Unmatched comfort with Kingsdown mattresses – LATHER toiletries – Complimentary Wifi – Personal Concierge – Complimentary hot and cold drinks 24 hours a day – Platinum Peddles bikes available to guests at no charge – Cable TV with DVD – Media library – Lounge with turntable (! ), enjoy listening to the classics on vinyl – iPod docking stations in-room – iPad available for Guests upon request – Each guest room has individual AC/Heat controls (by remote control) If your vacation is a time to explore, check out the Platinum Pebble Boutique Inn’s adventure packages. Your personal concierge is an intrepid explorer and has found the best of the Cape to help you maximize your Cape Cod Getaway. Everything from living like a local (think Clamming, Crabbing, or Oyster farm tours!) to Great White Shark Adventures are within your reach. If your escape to the Cape is to recharge and you want nothing more than a quiet beach and possibly a massage, we have you covered as well! There are multiple getaway packages available to guarantee a great stay! So treat yourself to the best of New England and experience the best at The Platinum Pebble Boutique Inn. We look forward to hosting you! Book now and use promo code: BNBFinder for complimentary bottle of excellent Chilean Wine on check-in!